Dimensions 0.50 by 7.25 by 8.75 in. Education; United States; Computer-assisted instruction. Amazon.com description: Product Description: Good educators aspire to meet the needs of their students. Find out how integrating technology can help! Choosing from a wide array of available technologies, you can find tools that fit your unique teaching style and curricular goals, while engaging your students. 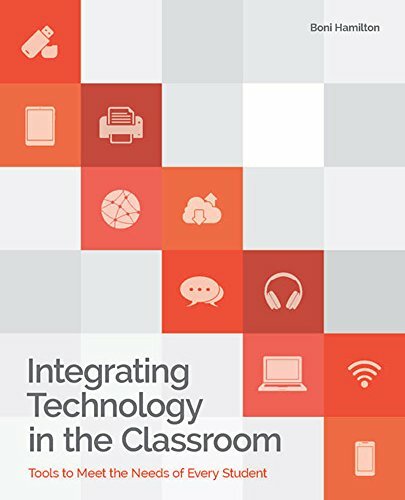 In Integrating Technology in the Classroom, author Boni Hamilton guides you through hundreds of digital tools and activities guaranteed to promote collaborative, learner-centered instruction. Filled with stories from teachers who use technology successfully in the classroom, this book will help you choose the right technology tools to support instructional goals and meet the individual needs of each of your visual, auditory, kinesthetic and multilingual learners. Youâll also get practical advice for revising lessons to meet the ISTE Standards for Students while boosting your confidence and tech skills. About: Good educators aspire to meet the needs of their students.